Did you read the original article that started it all off? If you did, you’d remember. In December 2015, James Brown wrote an article in the Telegraph titled: “Goodbye, my five-a-side friend. I won’t forget our strange and special bond”. 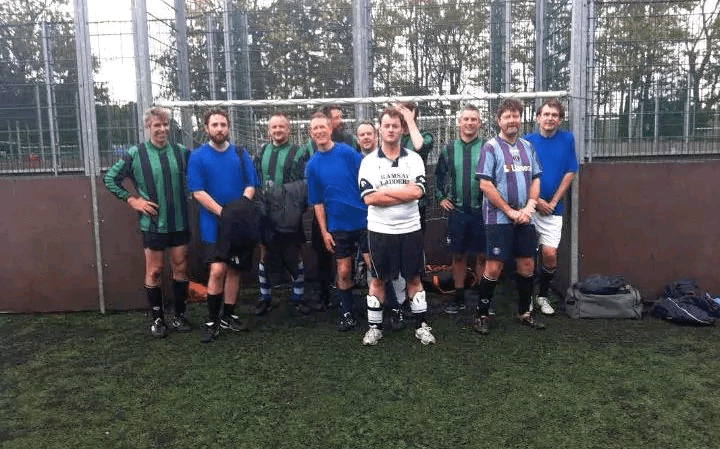 Inspired by a five-a-side teammate who had recently passed away, James remembered and reflected on a friendship forged by the remarkable bonds of a weekly 5-a-side football game. It was a touching epitaph to his deceased friend, but it was also an ode to 5-a-side football. I’ve tried on this very site, largely in vain, to capture the unique and special brotherhood that flourishes from a simple weekly game of 5-a-side but when I read that article I knew that James had absolutely nailed it. Our own weekly games might only involve ten familiar faces, and it’s sometimes easy to forget that there are literally millions of us out there (and that’s just in England alone) playing some form of small-sided football – be it five, six, seven or eight players-a-side. Given that the article was shared so widely, and struck such a chord with ordinary five-a-side players, the outcome was inevitable: James Brown was going to have to give us some more to go on. And so the book was born: Above Head Height, a Five-a-Side Life*. Some of the crew that James played football with. As far as I’m concerned, Above Head Height* is footballing manna from heaven to any regular five-a-side player. It takes the ordinary, familiar elements of our weekly sessions and bottles the very essence of the game into neat chapters about all of the joys, frustrations, and hilarity of our weekly game that – for an hour a week – takes us off the treadmill of everyday life. It’s the escapism you get from your football session captured in 300ish pages of entertaining prose. A lot of the stuff in the book won’t be new to you at all: there are people who lose their temper; teammates who won’t pass; delusional plodders who make up stories about once having had trials at big clubs and then end up not being able to play simple passes. All of the stuff that any seasoned player will come across on a regular basis. James Brown does a great job of bringing these ‘ordinary’ experiences together in a way that’s readable, familiar and comforting. Like the way you never tire of smelling a fresh out-the-box pair of trainers, you can’t tire of basking in the brilliance of all of the things that go on at five-a-side, and hearing somebody else’s take on it. But it’s more than just a readable canter through what goes on most weeks at 5-a-side. It’s also a very personal reflection on James’ own footballing life. And, fortunately, he hasn’t lived an ordinary life. Growing up near Leeds (which is the football club he supports), he was, by his own account, a bit of a tearaway. 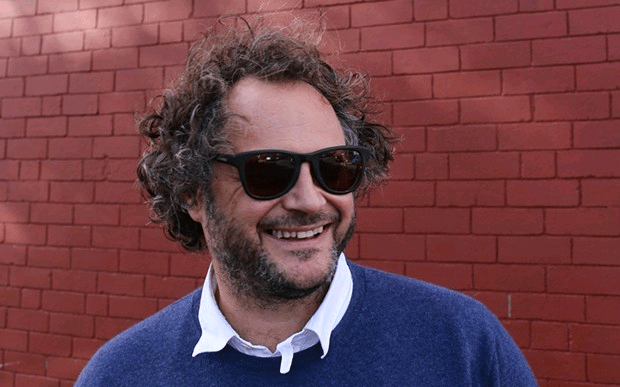 On leaving school, he worked in the creative industry for decades on major publications like NME, loaded, and British GQ, brushing with names from the music and TV industry along the way. He now hosts a show on TalkSport, but most importantly he’s still a three-times-a-week five-a-side addict. 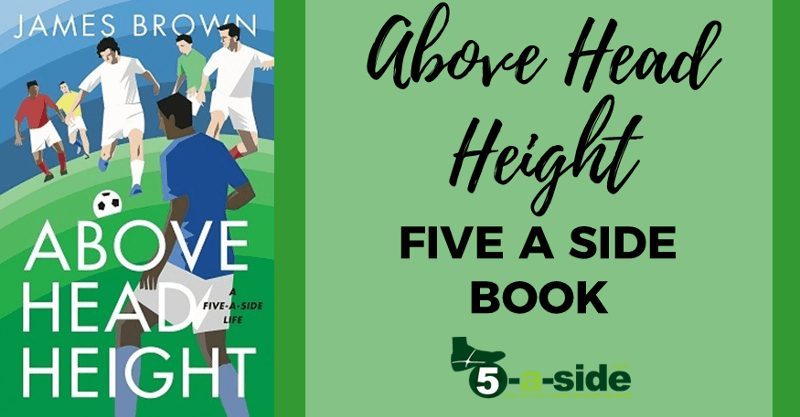 Yes, Above Head Height is a book about our collective experience of small-sided football, but it’s also a personal story of one man’s small-sided footballing journey through a life-not-so-ordinary. From falling in love with football as a boy, to tales of playing 5-a-side with Rock Stars drugged up to the eyeballs, his own battle with fitness and injury, to recently nearly decapitating David Baddiel (yes, the one from Fantasy Football) with a clumsy bit of play, it’s a unique and enjoyable look through another, more interesting man’s life playing 5-a-side. If you enjoyed the original article that started it all off, you’ll definitely enjoy the book its self. Above head height is available to order on Amazon.